A wooden box is a great beginner's woodworking project. A box can be a simple rectangle, requiring basic skills or an elaborate piece that utilizes all the craftsman's finish carpentry expertise. A gift box, keepsake box, treasure chest or oval Shaker box are just a few of the styles available with free wood box plans. There are also utilitarian boxes for laundry bins, under-bed boxes on castors and custom staircase boxes. The handsome keepsake box features dovetail joints and the Shaker oval box uses traditional methods to shape the oak into a beautiful storage container that will certainly become an heirloom. Use free wood box plans to hone your skills or develop new ones, using scrap lumber or exotic woods to complete your project. This would be a great project for producing items to sell at gift shops or craft shows. 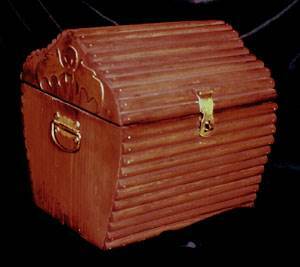 Plans on how to build a treasure chest to show off your finds. The project requires a minimum of tools. 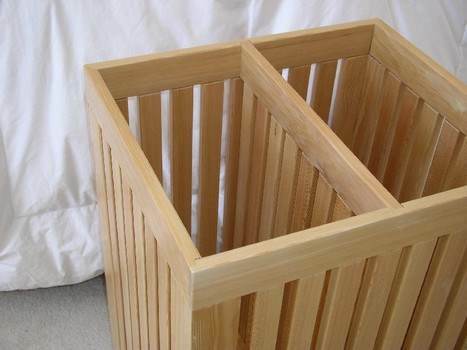 Build a laundry box that is set on wheels and has an open design to help keep wet fabrics from molding. 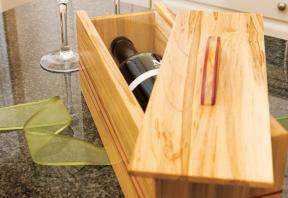 Build a wooden box that works great for placing a bottle of wine or some other gift in. Give two gifts in one package with this wooden gift box.